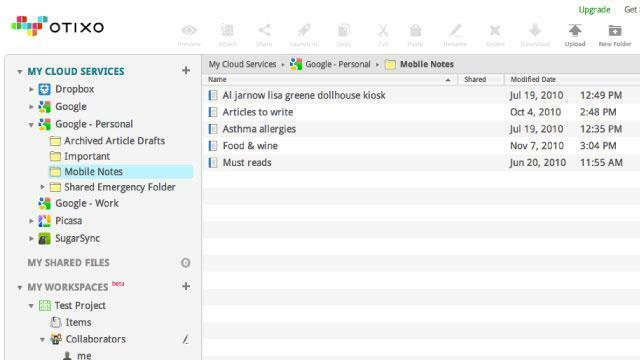 Cloud services can be handy to store your data. However relying on single cloud storage services can be risky in the event of server crash or discontinuation. In such case data migration services can be handy to move your data. In this article we are going to take a look at some of the services that allows you to transfer data across multiple cloud services. There are times when you don't want to stick to your cloud data provider. In such case switching to new provider can be a big hassle. To tackle this issue there are some of the services that allow you to transfer data from one cloud service to another. Using such connector services you can move a large amount of data from one cloud service to another. Let's take a look at some of such service providers. This cloud service allows you to transfer unlimited data from more than 10 cloud services. Some of the popular cloud services include Copy, Dropbox, Google Drive, Box and Amazon S3. There are many other additional connectors under premium plan. In case of premium service you've an option to choose from single time 20$ migration fee or monthly 20$ subscription for unlimited data transfer among premium cloud services. The premium connectors also include some of the hosting company API support like Mediatemple, dreamhost, Amazon ES and few others. So if you wish to use this service to migrate from one host to another then this service can be really handy. The free version supports most common cloud services and can be good enough for your basic migration needs. If you are unsure of where to keep your files if any of the cloud service shuts down then you can use Mover's own backup service to save the data on their service. They also allow to have buffer storage and let you download the data locally. So for anyone who is unsure of the data transfer services in the event of cloud service issue can make use of Mover for quick data transfer. This migration service is unique in it's offering. It supports many premium cloud services in it's connector service. You don't have to pay a cent for data transfer up to 10TB of data across multiple cloud services. In case of the additional data after 10TB you may have to pay around 4.99$ per month. This can be still a good choice if you are regularly moving the data. And the service offers support for some of the popular cloud services that includes - Box, OneDrive, SugarSync, Google and Amazon. You don't have to open multiple tabs on browser while moving your data. Single tab shows the transfer wizard and you can see the progress of your files being moved. The user interface of this webapp makes it very easy for you to transfer files. It has Windows explorer type of browser interface, so you can drag and drop the files from one location to another. You can also transfer the data across multiple services at the same time. This makes multi cloud very attractive service for those who regularly migrate data across multiple services. This new service for data migration is getting popular due to the data transfer speed. It supports 10GB data transfer for free accounts. However for any additional usage you may have to register and purchase the premium plans. The free plan supports personal connectors such as - Google drive, Copy, OneDrive and Dropbox. There are some of the additional services that you can get in the premium plan like MediaTemple and Amazon S3 etc. Premium plans are expensive and are limited with the data transfer. So minimum plan starts with 6$ per 8GB of data transfer. Though the data transfer rates are much quicker for Cloudsfer, so only the pricing makes it a bit less attractive option. It doesn't have monthly fee so you only pay for the data that you have transferred. Also it does offer you to the option for data integrity check to verify the data properly transferred. However those business who do similar work on regular basis can find this service usable. It has yet to support Mobile app for any specific platform. But in future they are likely to support the apps to transfer the data to and from multiple cloud storage services. One good thing about this service is that it supports a lot of cloud services that many others have yet to support. You can find them supporting most of the popular hosting platforms. You may also find some connectors being available here which are only premium for other services. You can migrate the content across multiple cloud solutions and see the progress as well. It doesn't offer you much of an user friendly interface though. So you've to do some point and click on things before you get things started. It doesn't keep any log of your password and personal files. So everything happens over cloud. You just have to make connection with the hosts and then transfer the data and at the end disconnect. This way there are no security risks and you can safely transfer the files across the services. It also has Android app that you can use for data transfer from within your mobile phone or tablet. There are many other cloud data migrations providers out there. Depending on your requirement the right service for your needs may vary. If you have some regular data migration tasks then it helps to buy premium version of these services. The above listed services are more than enough for occasional data transfer across cloud services.